clean air and open spaces, yet close to everything. Connect First Credit Union is the official presenting sponsor of the Strathmore Stampede Volunteers. Chinook Financial is Strathmore's local branch of Connect First Credit Union and they are proudly 'Making Money Make a Difference' in our community. They are servicing all banking needs in 12 communities across southern Alberta. Find out how Chinook Financial acts locally and supports communities at www.ChinookFinancial.com or on Facebook and Twitter. The Strathmore Stampede is proud to partner with RAM Rodeo as their official Rodeo Presenting Sponsor. RAM Rodeo is a company that does more than sponsor rodeos on behalf of local dealers – it is a company that supports two of North America’s most favorite pastimes: Rodeo and Automobiles. RAM has been a major sponsor of Strathmore Stampede for over thirty years. RAM Rodeo is proud to be the official truck of Professional Rodeo in Canada. We want to thank RAM Rodeo for their continued dedication and valued contribution to our event. Cervus Equipment is Strathmore and area’s local John Deere dealer and the official equipment supplier of the Strathmore Stampede. The Cervus Stadium is home to all our Stampede action. From riding mowers to acreage tractors, gators and large ag machinery, Cervus has all your equipment needs covered with their industry-leading parts availability and cross-country customer support network. Visit the Cervus website for more information. 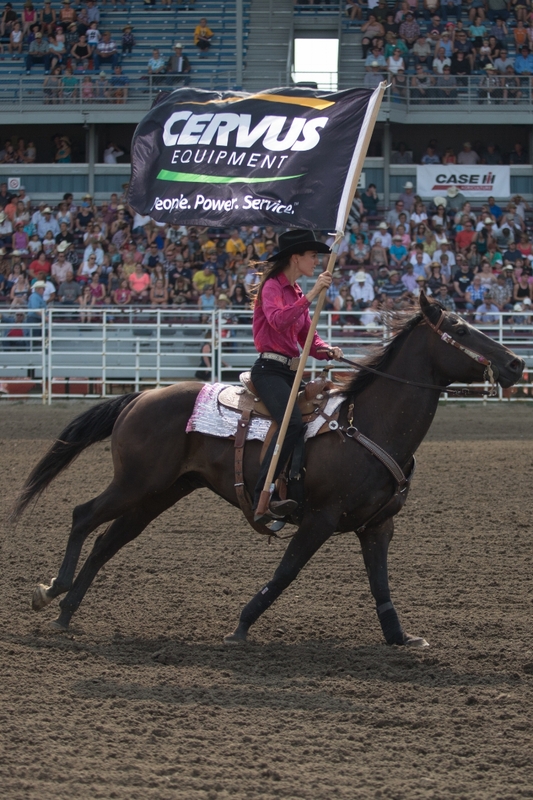 We are proud to partner with Cervus and are thankful for their years of continual support of the Strathmore Stampede! Cervus Equipment. People. Power. Service.